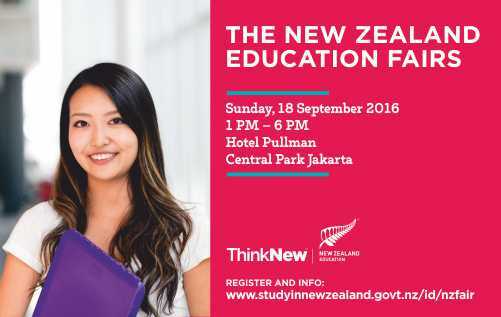 Leading education institutions from New Zealand are on their way to Indonesia . Don't miss this fantastic opportunity to learn how a New Zealand Education can help you build the future you want! Who will you meet in person at the Education Fair?